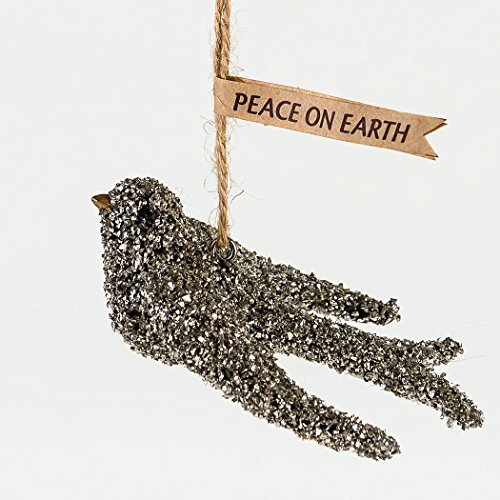 This pretty dove ornament is a lovely symbol of peace, and the sparking silver glass glitter is a great choice. It hangs from a jute string with a banner reading PEACE ON EARTH. Made by One Hundred 80 Degrees, this ornament measures 3″ long.